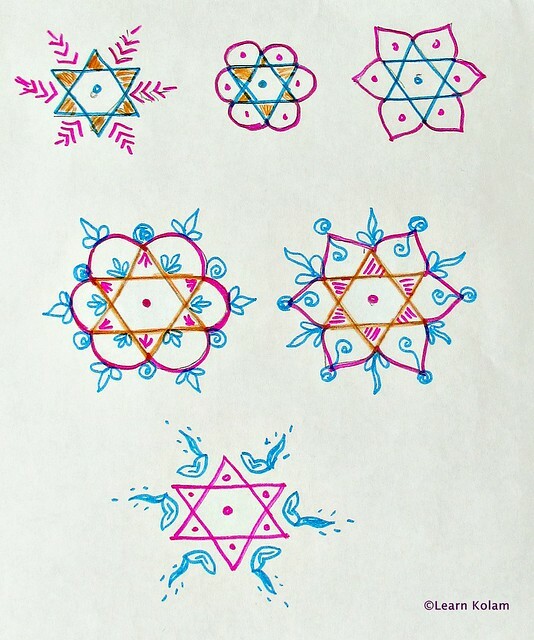 Different type of star kolam.Try this. Simple and easy to draw. My kids practices now this kolam. We are very much happy to hear this.Children's have different options like watching tv,outdoor games.My mother used to tell me that her cousin br used to draw even sikku kolam very well.I have not tried ,drawing kolam. My dr used to draw lot of pictures very nicely.My son also used to draw well in his high school lab record note books. U have inspired my kids a lot, I used to say her ur stories yesterday she was asking spider has born king, then wt happen to tat elephant its also was praying for god she asked me. She likes to draw very much.